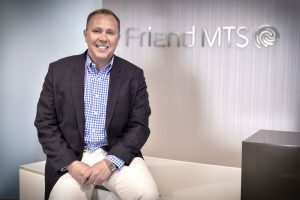 The World Boxing Super Series has chosen content protection technology specialist Friend MTS to provide security against streaming piracy for the upcoming Cruiserweight final, which will take place in Moscow tomorrow. Friend MTS has provided content protection for the World Boxing Super Series from the start of the tournament, and it will be securing the final using its global content monitoring and take-down services. The PPV boxing series is distributed internationally by a number of top-tier broadcasters. “With a major pay-per-view event like the World Boxing Super Series, it’s imperative to stop content theft. We’re very proactive in securing our content, and work closely with our broadcast partners to vigorously tackle illegal redistribution by pirate services,” said Comosa AG, the organizer of the series.